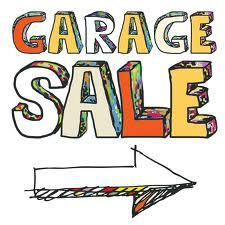 Morris Plains, NJ ~ The Talk of The Town: For Sale ~ Morris Plains' Town Wide Garage Sale is Now Open! For Sale ~ Morris Plains' Town Wide Garage Sale is Now Open! If you plan on holding a garage sale, PLEASE REGISTER BY SEPTEMBER 30TH to be sure your address will be included in the Garage Sales Days Handbook. Only those residents who register will be permitted to hold a garage sale on these days. PLEASE CLICK HERE for more information and a registration Form that must be completed and handed in or mailed to the Community Center.